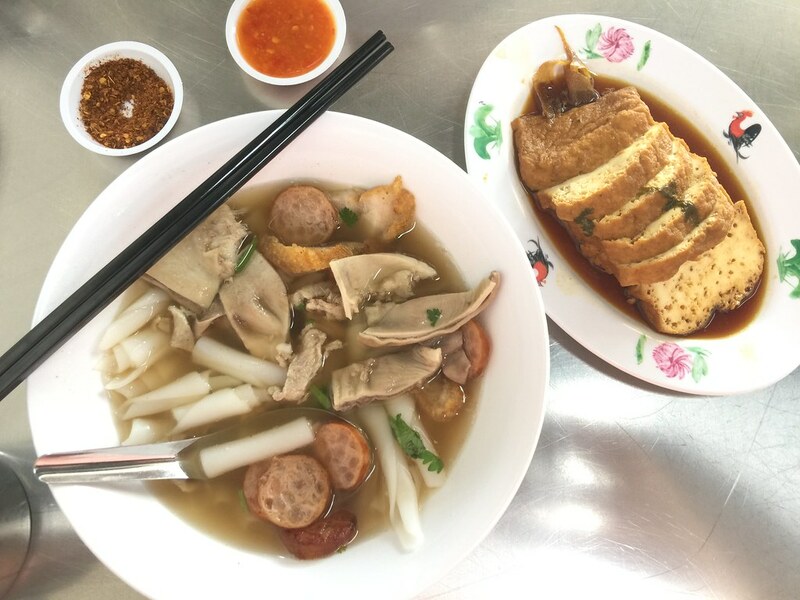 I have been wanting to try Yaowarat Thai Kway Chap along Upper Serangoon Road for the longest time whenever the bus passed by the place with the sight of crowd packing the restaurant. We have been eating the local braised type kway chap since young but Thai style is rather new in Singapore. The first time I tried it was back in Bangkok a couple of years back and I am glad to know that this is available in Singapore now. 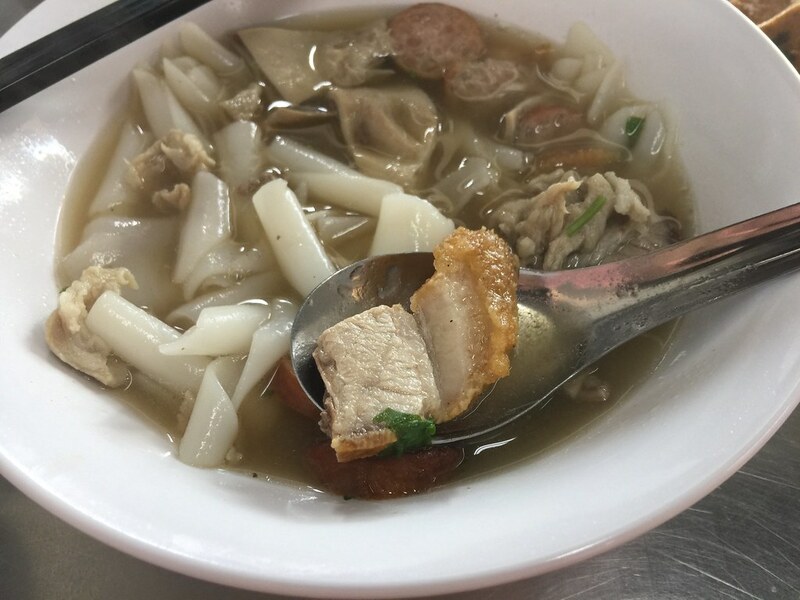 Unlike the dark coloured soup based type in Singapore, the Signature Thai Kway Chap ($5) comes in a white peppery soup base. The kway is also rolled up instead of being flat, which has a more delectable textural bite. 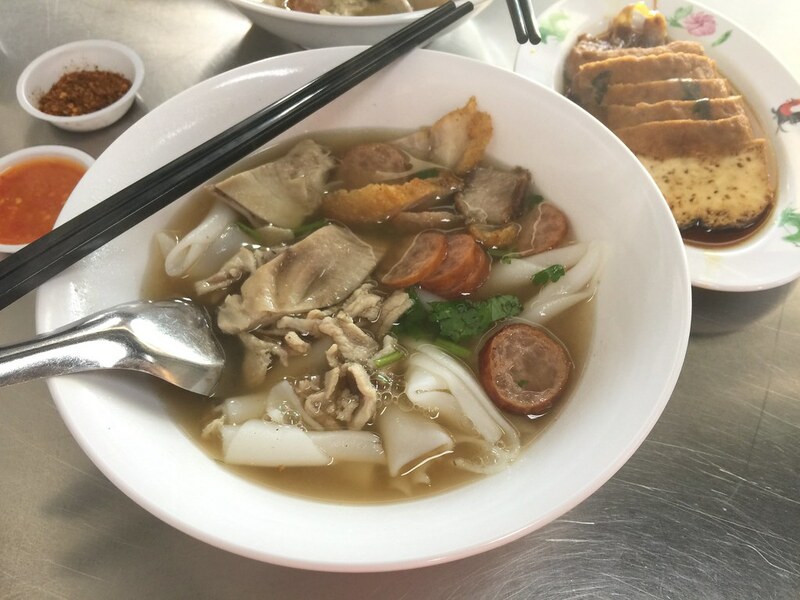 In the bowl, one can find ingredients such pig stomach, roasted pork, pork slices and Thai sausage. However I find that it is not as peppery as the one I had in Bangkok. I have not tried Thai Fish Sausage before but this is quite fragrant and it actually tasted like those Taiwan sausage. The signature of Thai Kway Chap comes with crispy Roasted Pork, just the way it is done in Bangkok. 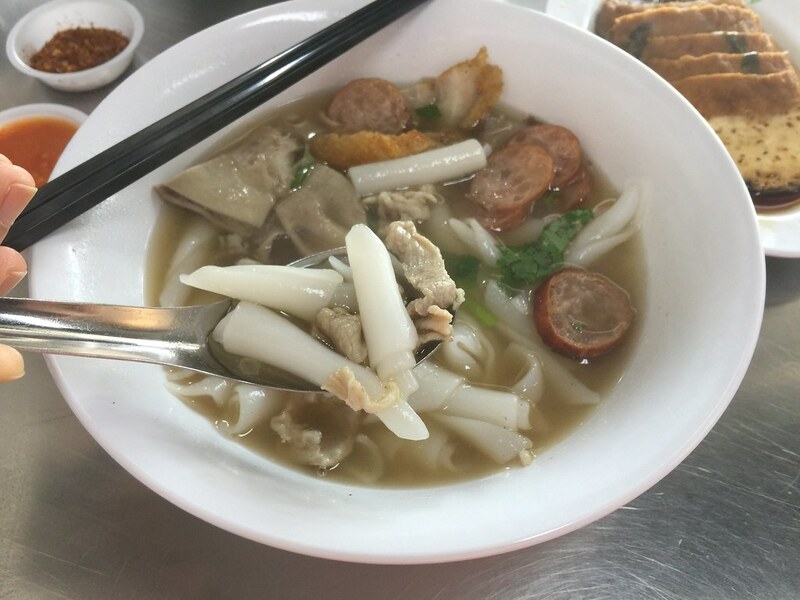 One may think it is rather random to have them in the kway chap, but I find that it does did its part in providing the extra boost in flavour, just like how we like to add pork lard in our noodle dishes. 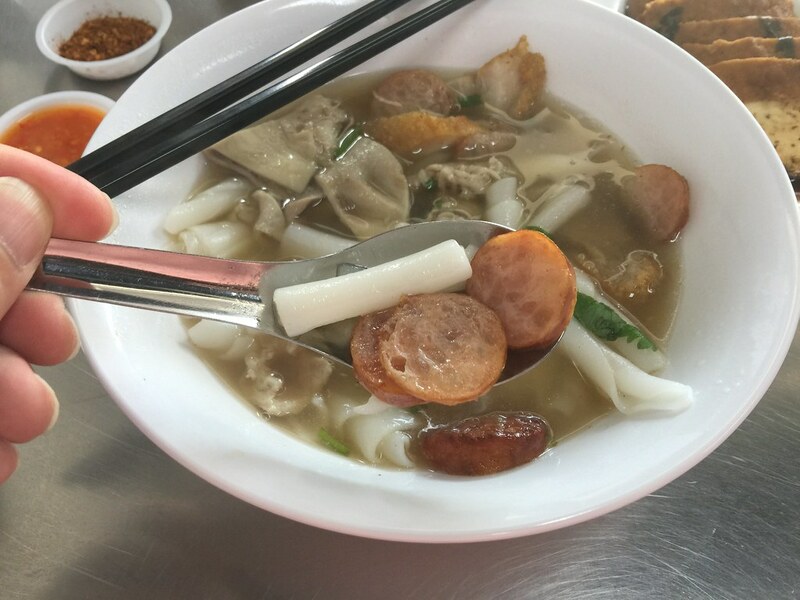 The signature kway chap is a bit small in portion and you may need to have another bowl to be full. Otherwise you may want to complete your meal with some dishes to go along with the kwap chap. 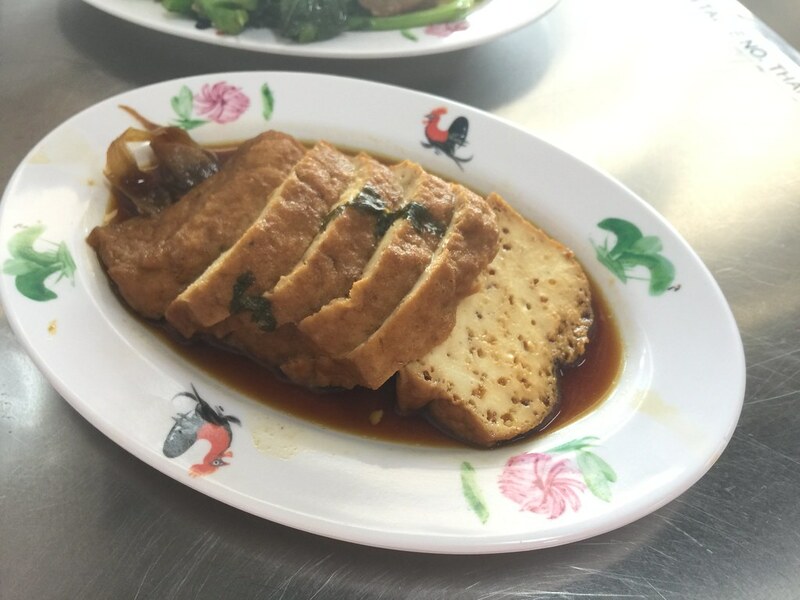 I tried the Braised Beancurd ($4) and Kailan with Crispy Pork ($8). 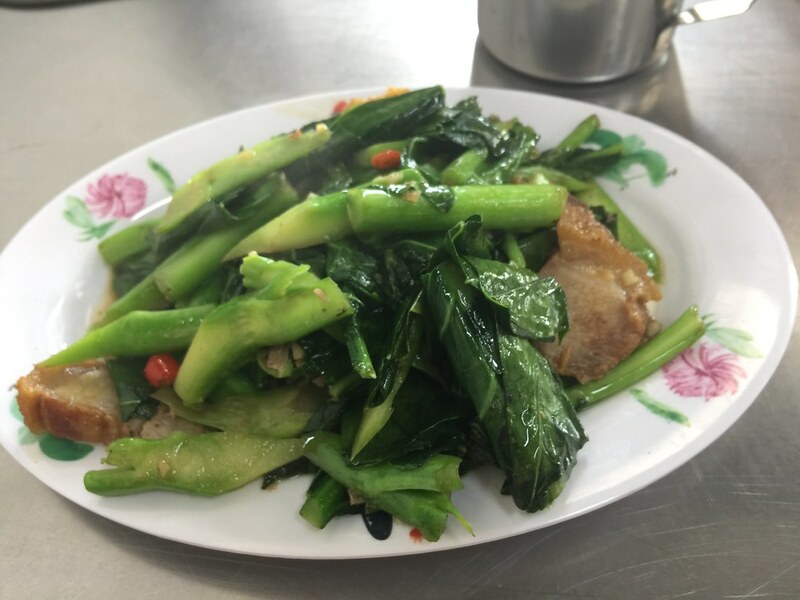 The kailan is really well executed with the aroma for wok hei, fish sauce, garlic and of course the crispy pork.